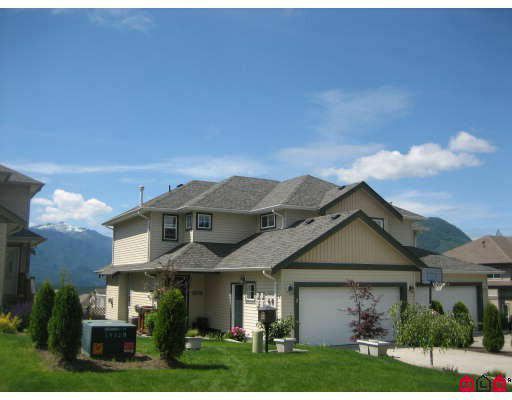 You will be pleasantly surprised by this 2,237 sq/ft , 2 storey with fully finished basement, large fenced and landcaped yard and awesome rivers and Cultus Lake views. 3 bedrooms up, 1 down, 3 1/2 baths. Laminate and tile on the main with agreat room concept. Includes 2 gas fireplaces, maple cabinetry, pot lighting, central air conditioning, gas BBQ hook up and double garage, wired for surround sound, absolutely lovely. Roughed in for inlaw-suite in basement behind wall. $99.00 monthly strata includes insurance and lawn maintenance.